In a new segment entitled “What We Spotted,” we share what captured our attention during a walk on September 26, 2013, in & around Elk Creek Crossing on this beautiful fall afternoon in northwest Omaha, Nebraska. 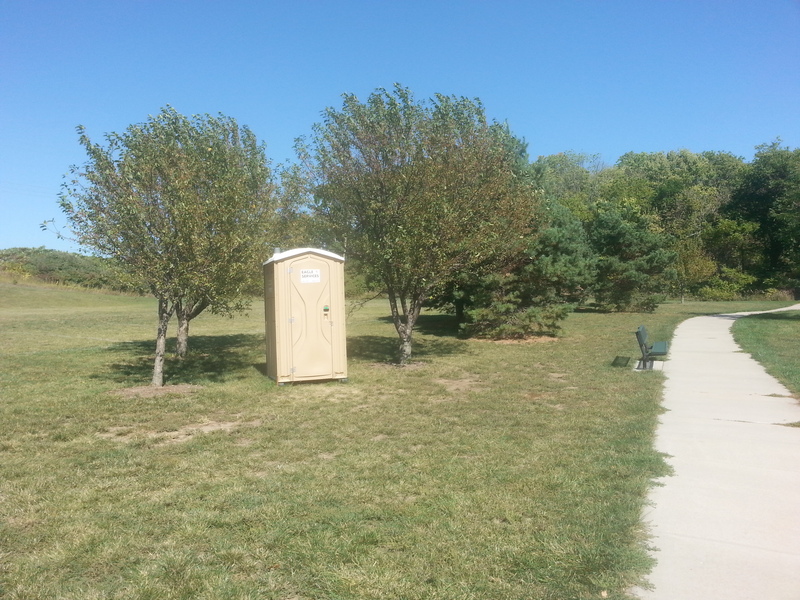 The first thing that caught our eye was a portable bathroom tucked in between two park trees. Well, if you gotta go, now you can! Thank you. Breaking NEWS! Sprayground Still Open Post Labor Day! Huh? Labor Day is over, correct? 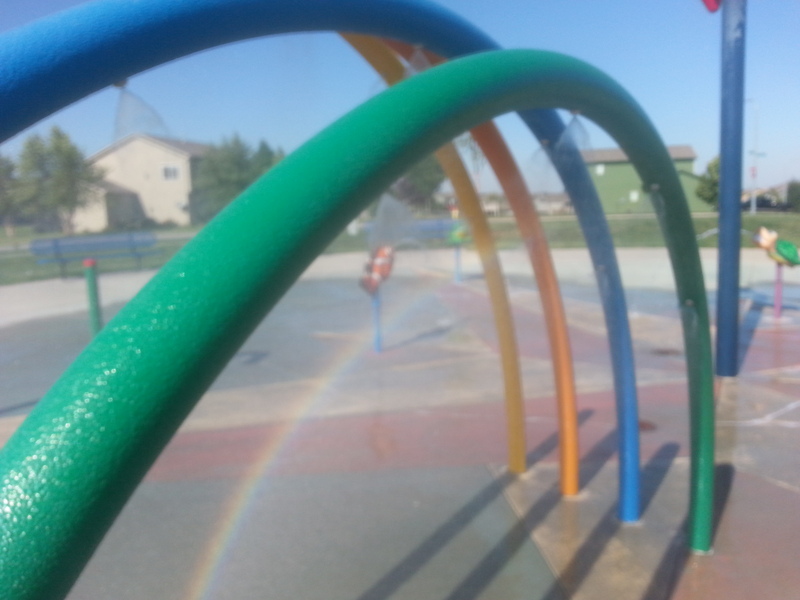 Then why is the Stone Ridge East Sprayground still open and running water after Monday, September 2, 2013? After a morning investigation, we have the answer! First, we had to track down which entity manages the Stone Ridge Sprayground. No quick and easy task. 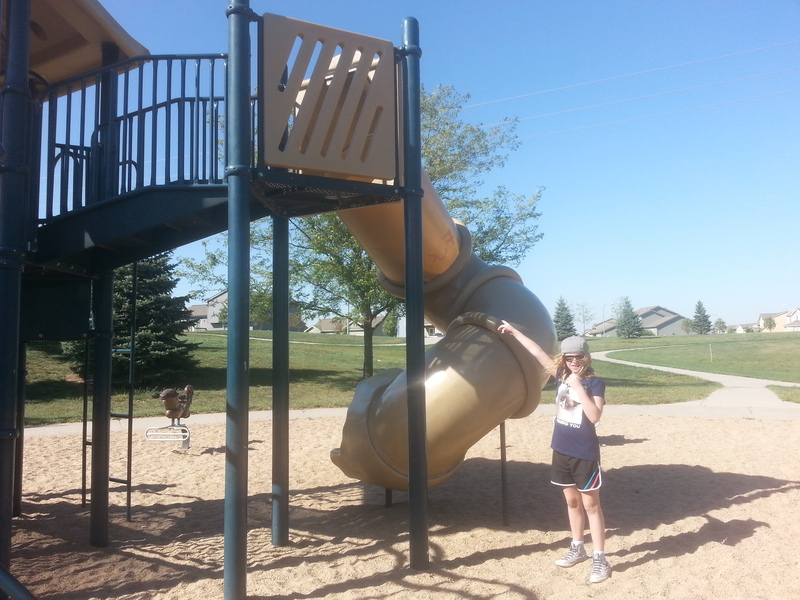 After a handful of phone calls, we discovered that no, the northwest Omaha splash park is not run by the city of Omaha nor Celebrity Homes. Turns out a local law firm administers Stone Ridge East neighborhood, which, by the way, remains an S.I.D., a.k.a. unincorporated area of Douglas County, that has not yet been annexed by the city of Omaha. This one is plain wrong. Someone (s) has defaced with permanent marker the inside of the Elk Creek Crossing park playground tunnel, where this child in the photo is pointing. Instead of calling the city, let’s do the clean up ourselves. It shouldn’t take long. “Calling a Volunteer for Saturday, September 28, 2013! For everyone’s sake, especially for children, we need helping hands to remove the expletive-laden graffiti from the tunnel right away! In the past, we’ve successfully used rubbing alcohol or nail polish remover,” notes ECC’s Susan Stern. To volunteer contact us now. Now that’s a wrap of “What we spotted!” We’ll keep you posted again in the future with more enthralling segments. Happy Fall Harvest!